Available on iPhone and Android, the mobile app delivers both course information and sports coverage. Students, campus visitors and sports fans can now access University of Texas course information, event schedules, live game audio and more via a new mobile app. Additionally, the app offers personalized course schedules, grades and other student information on the MyUT portal, as well as other campus information, including hours of operation for bus routes and campuswide events. 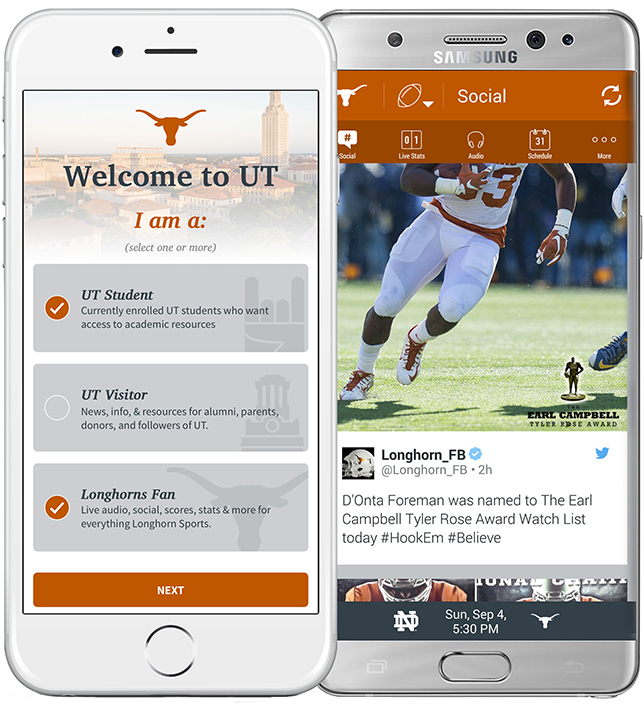 The app will be active at UT’s first game on Sept. 4. It is available for iPhone and Android for free.